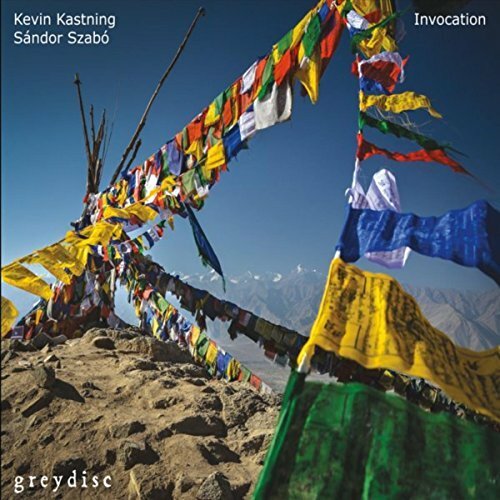 Kastning and Szabó are a team that we have reviewed many times in these pages, and each new release by this duo is incrementally more interesting than the one that preceeded it. For the record, here Sandor Szabó plays only the 16-string classical guitar, while Kastning alternates between 36-string double contraguitar, 30-string contra-alto guitar, and 15-string extended classical guitar. The 14 pieces presented here wander freely, and seem to have a high improvisational content, merging ideas as they are made in real time, owing as much to space (absence of sound) as to the melodic scattering of sonic pixels and sprites and seemingly random chords. The alien feeling the listener experiences as the duo wander through caverns and portals truly makes for an otherworldly soundscape. There is no percussion so their wanderings are not anchored to any kind of enforced meter, thus offering additional freedom to create outside of that box. The listener needs to just let go of all the tethers of genre and follow freely wherever the duo goes, allowing the subtle shades and textures of the sound to be the only guide. This is a full length recording, nearly hitting the 80 minute mark overall, but the dreamy pace and wonderfully intricate detail of the two players’ intervoven melody lines, impossible chords and ever-shifting ideas, it never gets old. After at least two dozen spins I’m still discovering new things each time through. The feeling that much of this often reminds of the stillness and beauty of Steve Tibbetts’ Northern Song, evoking similar feelings, except here we have all these wonderful pan-dimensional guitars (and two guys who really know how to play them) and no percussion at all.